With the engine off and cold, open the hood and locate the air filter, the spark plugs, and the distributor cap and rotor (if applicable). These are the parts most commonly replaced when performing a basic engine tune-up. Release the clips and remove the air filter box cover. 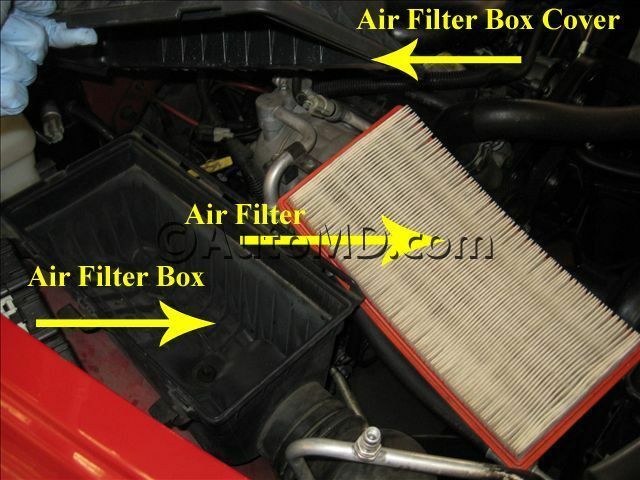 Remove the air filter. Vacuum first, then wipe out the air filter box to remove all debris. Install the new air filter and re-install the filter box cover. Grasp the spark plug wire boot and remove the wire from the plug. 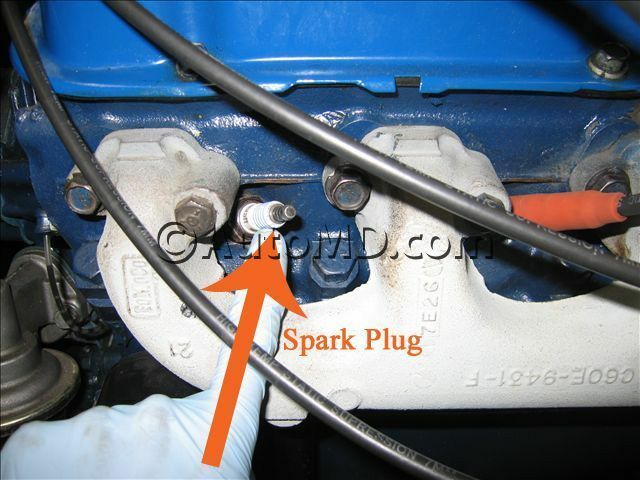 Remove the spark plug from the cylinder head using a ratchet, spark plug socket, and socket extension. Check the gap on the new spark plug and adjust as necessary. Thread the new spark plug in by hand and then tighten it to the recommended torque with a socket and ratchet / torque wrench. If necessary, you may use a length of vacuum hose to help the spark plug installation into the threads. Reconnect the spark plug wire. Repeat for the rest of the spark plugs. If applicable, remove the distributor cap with the wires attached. Replace the rotor and install the new cap. Transfer the wires from the old cap to the new cap one at a time. Do not mix up the wires.